This high quality wood binder is available, & is made for you per order. as well as some of the wood samples. Ideal for so many purposes. 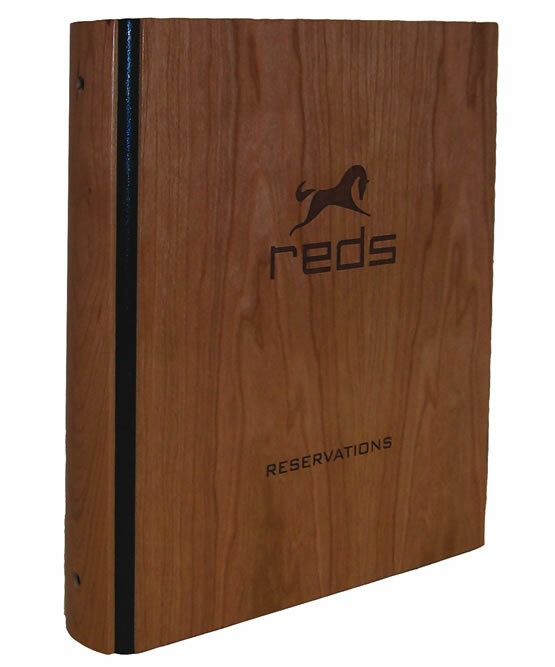 Restaurants use real wood binders for Captain's Books, Wine Lists & large menu offerings, but so do wineries & vineyards, National & State & Provincial Parks, real estate offices, & so many other venues. Wood front & back panel. Walnut, Maple or Cherry. Wood and black leather hinged spine. 1" three ring interior construction. Holds 8.5" x 11" reservation sheets, which are sold separately. 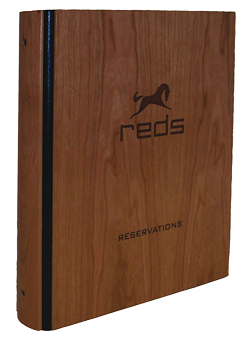 Just perfect for reservation books, wine lists & hotel in room directories. The real wood binder from The Menucoverman is one of those things that just plain looks better in person. No internet picture can do the refinement, elegance, warmth and style of this product justice..
Let us laser etch a stock logo, or choose to go the complete custom route and engrave your name and logo. Expert Laser Engraving- absolutley FREE! Place your order in the cart, and tell us about your imprint in the field provided. Available in Walnut, Maple or Cherry. Please click here or the color bar below to see more granular samples. 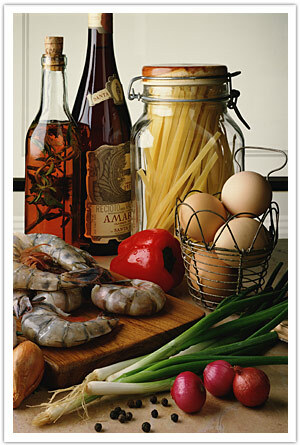 An extensive selection of sizes is available for The Menucoverman's line of Authentic Wood Menu Covers. Please click the picture, or click this line to go there now.